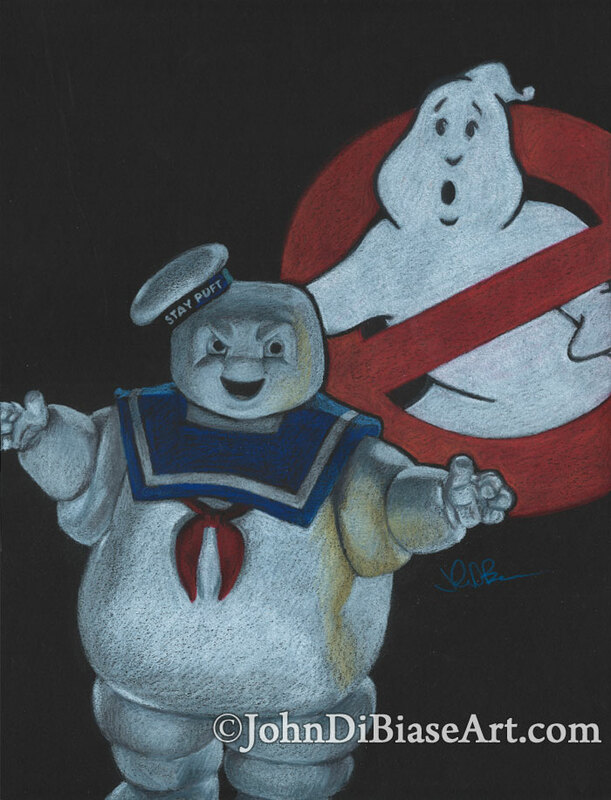 Just for fun one night, I decided to attempt a colored pencil drawing of one of my all-time favorite cinematic villains… the Stay Puft Marshmallow Man. And while Hollywood is currently desecrating the original film for the sake of milking the franchise for more money, I still had fun drawing the white cuddly baddie on black paper. And since I misjudged placing Stay Puft on the paper in the right spot (since I draw everything freehand), I decided to work the no ghost logo into the background.